Syscon Energy Conservation Solutions Pvt Ltd. has been in Power Quality Solutions & Energy Conservations from the past 20 years. We have been an established and popular company with an excellent track record for the best customer satisfaction. We have never compromised on the quality and the services provided to the customer. Syscon energy conservation solutions Pvt. Ltd., with more than two decades of experience, is promoted by qualified and experienced professionals to offer products & solutions that meet the demanding customer’s requirements. Professional management with thrust on customer satisfaction enable the company to continuously specialize and innovate in Power Quality Products & Solutions. Our team of engineers offer multi-disciplinary capabilities to manage the design, construction, operation, and maintenance of energy facilities and systems. They employ state-of-the art technology, combined with exceptional analytical and technical expertise to help customers resolve today’s complex energy and electrical power quality issues. We believe in keeping the customers happy and providing them with products at a very competent price. We have an excellent staffs who will guide you with their best ideas by keeping in constant touch with your company and informing about the new solutions available with us. Name of Company Syscon Energy Conservation Solutions Private Limited. Address D-2, Garuda Heritage, Ganesh Baug, Aundh, Pune-411 007, Maharashtra, India. Nature of Business Authorized Business partner of Emerson for UPS, PAC, Battery, TVSS, Active Filter, Data centre, Server racks.etc and we do Energy Conservation Solutions Projects individually. Syscon Enterprises founded in the year 1993 to provide Clean Power Solutions & Services in the form of Uninterrupted Power Supply for Manufacturing industries, Medical Pharma Research Institutes & IT Sectors. A Syscon enterprise was the Business Partner of DB Power Electronics (P) Ltd. Awareness of energy saving & monitoring was the gaining importance. Motors being the major consumer of power, the need to control the speed of motors was vital. Hence we added Variable Speed control drives (VSD’s) & Electronic Soft starters to our existing product portfolio. To offer our esteemed clients a world class product from Electrex through Our business association with Energetik Electronic (P) Ltd in the year 1998. 2003 was the year of global presence for Syscon. With UPS systems supporting cement plants is African countries. There was a growing demand supply deficit in electrical power in our country. A need for backup power for domestic application was demanded. We could meet the demanding needs through our association with M/s. SAR Silicon Systems (P) Ltd, with their reliable products under the brand ‘Luminous”. The growing demand for electrical power, with shortfall increasing a pro-active measure from the industry was the need of the time. Through our industry awareness programs, we could offer filtration solutions to reduce losses & conserve energy. 2007 the beginning for energy conservation solutions. 2010 was the year for Non-Conventional Power, Renewable Solar Power products .Syscon in association with Global Towers successfully converted remote & rural Telecom Towers to renewable Solar Power. This conversion to renewable energy has reduced carbon emission & increased power availability. The renewable energy to be made available to various other applications was effected with a business association with M/s TATA BP Solar. 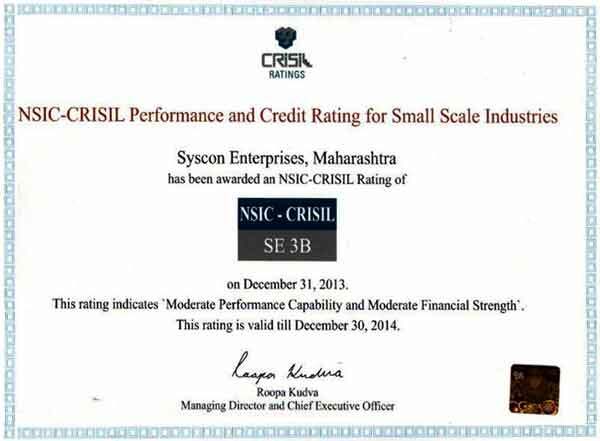 In 2010 Syscon became an Enterprise Business Partner Of M/s. Emerson Network India (P) Ltd. & System House for ELECTRONICON, for power capacitors JANITZA for Energy Management Solutions & SYSTEM ELECTRIC. 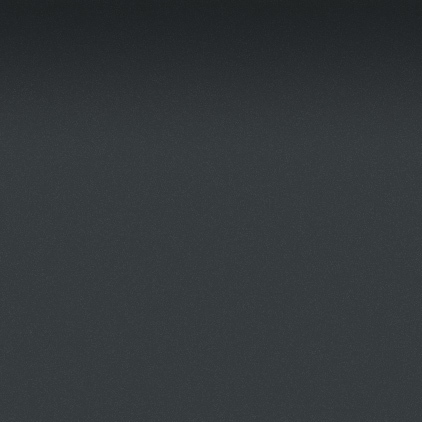 For Passive & Detuned Filters. All the companies are global leaders from Germany. Our team of engineers offer multi-disciplinary capabilities to manage the design, construction, operation, and application of energy facilities and systems. At Syscon, we are convinced that there is no single solution to today’s complex energy and electrical power quality problems. Our “Pure Power Forever” strategy consists of range of approaches with the best technical & analytical expertise to help you get clean power. This integrated approach frees your organization to focus on your core business activity & helps you stay competitive. 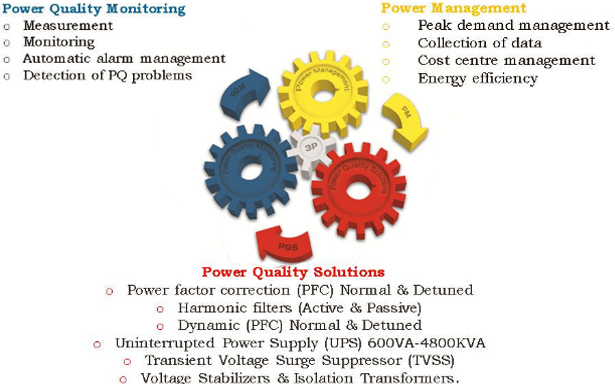 We, at Syscon, strongly believe in providing state of the art integrated solutions to Power Quality problems. We aim to achieve the same by working in close interaction with our customer and are keen to understand expectations, requirements and apprehensions involved. We prefer to view the problems from customer's perspective and suggest solutions accordingly. Our vision for the future is supported by an integrated set of core values and business principles. The values and principles inform every aspect of our organization and define the way we work. Our mission at SYSCON is to establish and maintain leadership in the electrical power quality and energy management services businesses. In so doing, we seek to provide our customers with superior power quality and significant electrical energy savings through innovative programs, products and business services that meet or exceed their expectations. Our values are the core of our corporate philosophy. All our actions are based on these fundamental values and beliefs, which link our vision to our business principles. Passion for customers - This value is central to the way we work. We have an ethos of delivering outstanding customer service. We must be able to anticipate our customers' needs and correct any errors promptly. We must give value for money, and deliver efficient and effective products and services. Pride - Pride comes from the satisfaction of our customers and from delivering high-quality products and services. We're proud of our staff and their achievements, and we recognize and reward success. Trust - Trust is at the heart of our relationships with customers. Trust means doing what we say and acting with integrity. We demonstrate trust by respecting and empowering our employees. Building trust will help us to develop strong future relationships with our customers. Challenge - We are constantly striving for continual improvement; we are never satisfied. We engage constructively with critics from within and outside the company. Support - We support employees seeking to meet and own challenges. We foster team-working and knowledge sharing, and give our employees the tools and training they need to do their jobs well. Customers wants, needs and wishes are our strategic blueprint. • To act on our customers feed-back for performance improvement. • To quantify all aspects of our business in order to create benchmarks for success. • To emphasize quality and we believe that good enough never is. • To respond quickly and decisively to opportunity. • To create an environment where ideas are encouraged, recognized and rewarded. • To work together toward our goals and be rewarded together when they are achieved. • To commit to leadership in every aspect of our business. • "We pledge to honor our promises, stated or implied, to all the stake holders of the Organization including our employees, customers, suppliers, financial institutions, shareholders and partners and work towards our goal of a, zero-defect organisation." the performance of our obligations. Emerson Network Power (India) for their all products & services. (UPS,Active Harmonic Filter, Solar PCU, TVSS, Inverters, Server Racks & Enclosure Systems, Static Transfer Switches, Precision Air Conditioners, PDU, DC Power Systems ( www.emersonnetworkpower.co.in ). Emerson product offerings such as motors, drives and fans were made available in India during the 1950s to support the country's first steps towards industrialization and economic growth. During the 1980s, Emerson entered into joint-venture relationships with several Indian-owned companies as a means to continue growing its business. In more recent years, Emerson has fully acquired several of these joint ventures and integrated the companies into its existing business platforms. Janitza electronics® is a leading global manufacturer in the field of Digital integrated measuring equipment for energy distribution, energy optimisation systems and power factor correction systems. The products made by Janitza® are generally used to reduce energy, maintenance and product costs. ELECTRONICON Kondensatoren GmbH (former RFT Kondensatorenwerk Gera) have been associated with the manufacture of capacitors in Gera since the late 1930s, when the SIEMENS organisation moved part of their production facility from Berlin to eastern Thuringia in the heart of Germany. Continual development in its product ranges has resulted in ELECTRONICON becoming one of Europe's leading capacitor manufacturers supplying customers worldwide.